Features six disguises of rage–their roots, reasons, and wisdom; support in uprooting your rage inheritance, and; strategies to rest peacefully in body and mind. 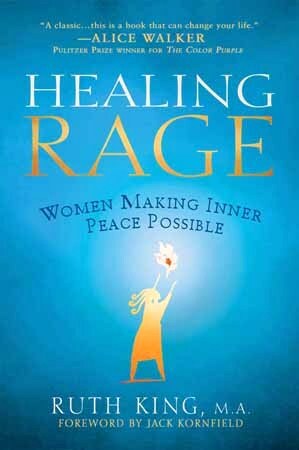 Healing Rage shows women and the men who love them how to understand personal rage, ease its destructive potential, and preserve its wisdom. Introduces six disguises of rage–their roots, reasons, and wisdom; support in uprooting your rage inheritance, and; strategies to rest peacefully in body and mind. Healing Rage ~ an O Magazine Nugget in the July 2007 issue. Available in Italian through Edizioni Frassinelli S.R.L., 2007.